Ladies and gentlemen; we’ve got ourselves a goodiebag winner! The goodiebag of the opening night (shows of SIS by Spijkers en Spijkers and Tony Cohen) was the best one out of the bunch. So kudos to the girl who put all bags together: Goodiebaggirl Karlijn Visser. She knows what a good goodiebag is! 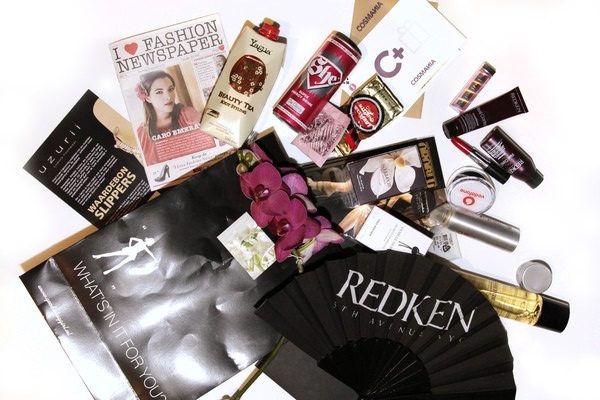 There was even’t even much competition; all other goodiebags mostly contained only a few Redken beauty items.